The Internet runs on content. Because of this, one of the biggest legitimate online career fields out there is working as a freelance writer. A freelance writer is someone who creates written content for other people and businesses. This content can be on a variety of different subjects and may be featured in many different places. While most writers get started with writing online for websites and blogs, many go on to be published in magazines, newspapers and other off-line media formats as well. Freelance writing is a great opportunity for people who enjoy learning about new topics and conveying that information in written form. Many successful content creators have got their start writing as a freelancer and over time grown their income substantially by becoming bloggers. How Much You Freelance Writers Make? Freelance writers can make anywhere from $5-$500 an hour. The amount that you earn depends on a lot of different factors like experience, past work history, whether you’re working for content mills or private clients, and whether you have some specialty that you can use from your professional career that translates to your freelance writing career. For example, if you are a nurse, EMT or other medical professional who has experience working as a freelance writer, you can find yourself being able to land clients for up to $100 per page for medical content that will be published in journals, magazines and online. However, on the other end of the spectrum, if you’re brand-new to freelance writing and don’t have any kind of professional background that’s in demand for content creation, you may find yourself earning as little as five dollars per hour when you’re first getting started. If you’re brand-new to trying to work as a freelance writer, you’re probably going to want to get your feet wet by working for one of the many different “content mills” that exist online. These types of sites will allow you to learn the ropes of freelance writing without jeopardizing the reputation that you will develop while working with private clients in the future. Just remember that if earning a significant income online is your end goal, you don’t get stuck working for content mills for a long period of time as you typically only earn $5 – $10 per hour working on platforms. If you’re wanting to get started with one of the many content mills online, below are a couple that have a good reputation of paying out on time. Another great legitimate online job that you may want to check out is working as a virtual assistant. Just like freelance writers, virtual assistants are more in demand than ever before thanks to the growth of the Internet. Virtual assistants do a variety of different tasks to help employers with their day-to-day business. You can think of it like an online version of being a secretary. 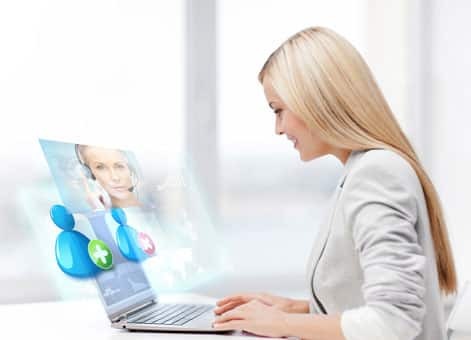 Often, virtual assistants will answer customer questions through a live chat application or complete various tasks essential for the day-to-day business of their employers. Things like posting messages to Facebook, scheduling phone calls and meetings or doing a little bit of research for freelance writers are all tasks that virtual assistants may find themselves doing at some point in time or another. If you enjoy following directions, assigning tasks to individuals and interacting with people via chat and phone, you would probably enjoy working as a virtual assistant. The key thing to keep in mind is that even though you’re working as a virtual assistant, you may find yourself frequently being on the phone which means you need to have a quiet environment available for you to successfully do your job. On average, most virtual assistants earn about $19 per hour. 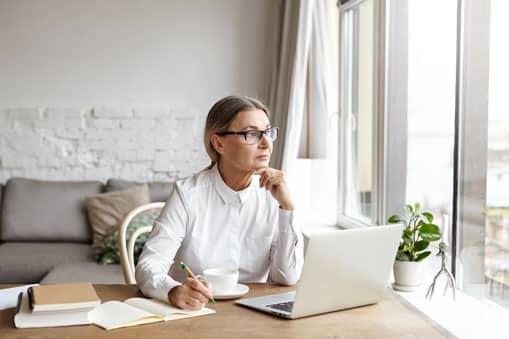 However, just like with freelance writers, this amount can vary significantly depending on a few different factors like experience, whether you’re working for an organization or a private client, and whether you have any type of special skills from your professional career that can carry over to working as a virtual assistant. Some virtual assistants earn as little as $10 per hour or less while others demand salaries around the $60 per hour mark. Some of the most in demand skills among virtual assistants are things like blogging, editing and skills with social media. It can be a little challenging to find legitimate opportunities working as a virtual assistant. In order to avoid any potential scams that may be out there, your best bet is to get started with agencies that are known for connecting people with legitimate opportunities. Below are just a couple sites that you can check out to find legitimate virtual assistant jobs. 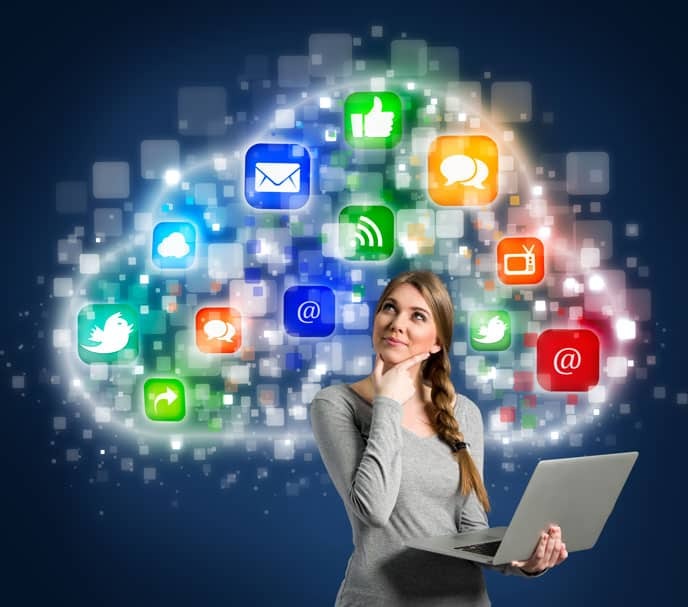 The third job on this list is another that is seeing massive growth thanks to the desire of companies wanting to increase their overall online presence. Social media managers work together with people who are doing many of the other jobs on this list to help businesses expand into new areas. Social media managers are people who strive to create the best social media presence for various businesses, celebrities, or others who are looking to expand their reach through a variety of social media platforms. If you enjoy interacting with people on social media platforms like Facebook, Instagram, Twitter and YouTube, just to name a few, then you will most likely enjoy working as a social media manager. The important thing to remember is that unlike your personal social media accounts, the goal of most social media managers is expanding the reach of brands and businesses while also maintaining good customer service across the platforms. Average salaries can vary significantly depending on what resource you check. For example, according to Glassdoor, the national average for a social media manager is $54,238 while PayScale shows a median salary of $48,614. Other sites have even lower earnings that claim social media managers can earn as little as $34,000 annually. Just like many of the other jobs on this list, salary can vary based on experience, who you’re working for and whether you have professional skills that can transfer from another career field into social media management. While there are many different places you can head to find social media manager jobs, some of the best are traditional job boards like indeed.com or monster.com. While there are some places that specialize in social media manager talent, most businesses resort to hiring their social media management team locally or on traditional job boards. Below are a couple sites that frequently have openings for social media managers. The graphic design field has been growing in leaps and bounds in recent years thanks to people and businesses needing their services for both online and off-line projects. Even if you’re working on projects that are going to be used off-line, most graphic designers can easily find work online. Graphic designers are essentially artists who have the ability and training necessary to be able to work with tools and utilities like Adobe Photoshop to create images that are used for various reasons by companies both online and off-line. These images can be anything from simple photo retouching to creating company logos, marketing materials and much more. Want to learn more about graphic design or would like to design your own logo? Have a look at this video on How to Design a Logo Using Canva. If you have a creative flair and are willing to learn the skills necessary to use programs and products like Adobe Photoshop and Adobe illustrator, just to name a couple, then you would probably enjoy working as a graphic designer. 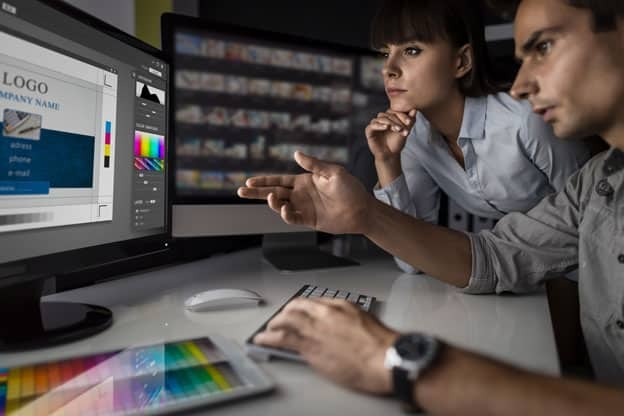 Be warned that unlike many other jobs on this list, many of the better paying jobs out there for graphic designers require a college degree. However, just like with freelance writing, you can get started by learning skills on your own and acquire certifications and education along the way. Just like many other jobs on this list, graphic designers can earn a wide range of pay. According to chron.com, graphic designers can earn anywhere from $27,950 a year all the way up to $82,020 a year with average salaries right around $54,000 per year. It all depends on your raw talent, how many years of experience you have, your portfolio, whether you have a degree and if you’re working for yourself or for another company or agency. This one is a little unique as jobs can be found in a variety of places. If you already have a degree in graphic design, then you may find that your best option is looking on traditional job boards like indeed.com or monster.com. However, if you’re just learning the ropes and wanting to work as a freelancer, then you will be far better off looking at sites like those mentioned in the freelance writing section of this article. Typically, you can earn more money by finding your own graphic design freelance gigs than you can by working for agencies or companies. Below are just a couple places that you can use to find graphic design jobs. One job that has been around for a very long time and recently found its way online is that of a transcriptionist. Just like many others on this list, the online opportunities for transcriptionists are higher than ever before thanks to more people and businesses needing transcriptionists for their online content creation efforts. 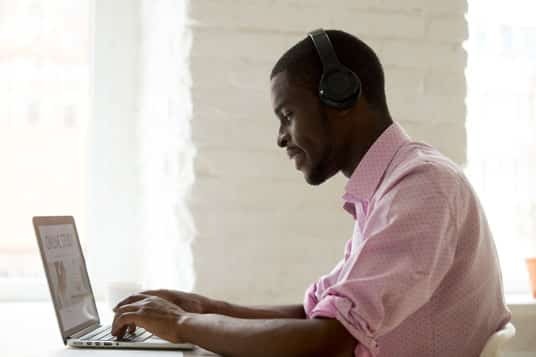 If you enjoy listening to video and audio recordings and taking the words said by content creators and putting them on the written page, then this may be a potential job option for you. Be warned that just like the graphic designer field, there are degree programs and certifications available for transcriptionists that are often required for better paying job opportunities. 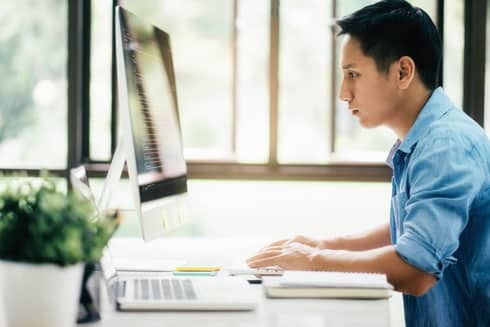 On average, transcriptionists generally make around $15 per hour but with advanced transcription certifications and experience in the field, some transcriptionists can make up to $25-$30 per hour. Also, you can offer freelancing services and earn potentially more than the rates listed above so long as you’re able to find clients and complete work quickly. Another option is to get started as a freelancer to see if you enjoy the field. If so, you may want to consider working as a medical transcriptionist. If you find that you enjoy transcription, looking into a medical transcription certification is one option for greatly increasing your overall earning potential. As mentioned above, transcriptionists are more in demand than they ever have been before. While you can make significantly more per hour by freelancing your services, it’s best to get started with proven groups that will allow you to find more consistent work while you build your freelance portfolio. Below are just a couple of sites that can get you started with transcriptionist jobs that have a reputation of paying on time and paying a decent living wage for newcomers. Another legitimate online job that has come into light recently thanks to the overwhelming growth that businesses have on the Internet is working as a website tester. While there aren’t as many opportunities online for this job as there are many of the others on this list, it’s a growing field that is sure to continue expanding in the coming years. A website tester is someone who goes on to different websites to test how well the site performs from a user perspective. Often, you check things like whether the site flows well, reads well, or in the case of e-commerce sites, whether strange things happen when trying to add products to a shopping cart or checking out. What you do largely depends on exactly what the website owner is asking of the agency. While some just want you to have a read and respond with whether you would take their offers, others want you to go through a shopping experience and see if you encounter any difficulty while trying to make a purchase. How Much the Website Tester’s Make? Website testers can expect to earn anywhere from $10-$60 for every test they complete. While that sounds great, the problem is that there isn’t quite enough work to make this a full-time job, but there is enough to earn a decent amount of money on the side. This may become more of a career field as more businesses and website owners seek out the services of website testers, but right now it’s not a great way to create a full-time income. While you can’t occasionally find a website tester job listed for freelance application, there’s one site that typically has more tests than other platforms. If you’d like to get started working as a website tester, take a moment to check out User Testing to see if it’s a good fit for you. Last but certainly not least on this list of legitimate online job opportunities, is working as a blogger. This field has been around since the Internet was first created, but in recent years has begun to gain more and more popularity as more people learn about the possibilities of earning a full-time income and beyond with blogging. Bloggers are people who operate their own websites by talking about a variety of different subjects and life experiences. The good news is that regardless of your background, you have a skill and a knowledge that that other people online are looking for. The most important thing is to make certain that you understand exactly how to run a successful blog as many people fail to ever get their blog to a level that will earn them any money at all, let alone a full-time income. Bloggers can earn anywhere from absolutely nothing to high six and even seven-figure salaries annually. It all depends on what you’re writing about, your dedication to your blog, and most importantly, whether you’re following a plan that will ultimately lead to your success as a full-time blogger. While some people will claim that blogging simply doesn’t work because they failed to earn very much money, others like myself will tell you that blogging is a life-changing career choice that allows you financial freedom and the ability to work when you want to rather than when you must. While there are a few jobs out there by companies who want to hire a blogger to create content for them, it is far better for you to create your own blog and add monetization to it later down the road. Again, as I mentioned above, the key is to follow a plan that has been successful for thousands of other people over the years. If you’re interested in getting started as a blogger and earning a full-time income as quickly as possible, take a moment to check out my top recommended resource. Once there you can expect to learn exactly how to run your own successful blog and create an online business that will last for years into the future and earn you a life-changing income. Hey Jay! Working from home is the dream of everyone especially moms. It affords them the opportunity of taking care of their family while at the same time making some money to help supplement with that of their husband’s. However, like you said, getting a legitimate online business can be quite daunting with all these high level of scams going on in the internet world. The online jobs from home you listed are great, I know many friends who are writers on platforms like upwork, fiveer, freelance etc and they are making enough money. I have done transcription in the past, it is a great way of making money especially when you have no skill. Virtual Assistant is one online job I would want to do, however it seems I have not given it enough attention. Interesting and helpful article like this is rare! There are some really good nuggets of knowledge in this article, so thank you for writing it. 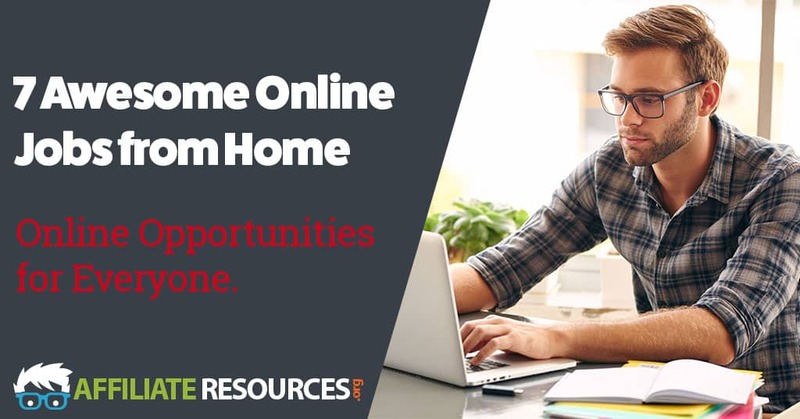 I support the fact that Working from the comfort of your home sounds amazing but finding legitimate Online Jobs from Home opportunities can often be a challenge. I really appreciate the list of the 7 awesome online jobs that you can do from home that are legit and can earn you a decent income. It’s actually great to have a legit source of income as it gives financial assurance return. I think my own won’t be mention until I saw it on the no7 and it’s amazing. Yes, being proud of it, Bloggers are people who operate their own websites by talking about a variety of different subjects and life experiences. The good news is that regardless of your background, you have a skill and a knowledge that that other people online are looking for. Bloggers can earn anywhere from absolutely nothing to high six and even seven-figure salaries annually. It all depends on what you’re writing about, your dedication to your blog, and most importantly, whether you’re following a plan that will ultimately lead to your success as a full-time blogger. After getting my wonderful niche and adding monetization, it really pays me. Although is not easy at start but with the help of several training platform online, am almost there now. Thanks for sharing this helpful information. Appreciate your including the expected fees that can be made. It saved me a bunch of research. Thanks Jay.